Product prices and availability are accurate as of 2019-04-23 10:40:55 UTC and are subject to change. Any price and availability information displayed on http://www.amazon.co.uk/ at the time of purchase will apply to the purchase of this product. Garden Figments 'The Online Garden Design Shop' are proud to offer the fantastic Rowlinson Round Top Arch. With so many available today, it is great to have a brand you can recognise. The Rowlinson Round Top Arch is certainly that and will be a superb purchase. For this great price, the Rowlinson Round Top Arch comes widely respected and is a popular choice amongst many people. Rowlinson Garden Products ltd have added some nice touches and this means good value for money. 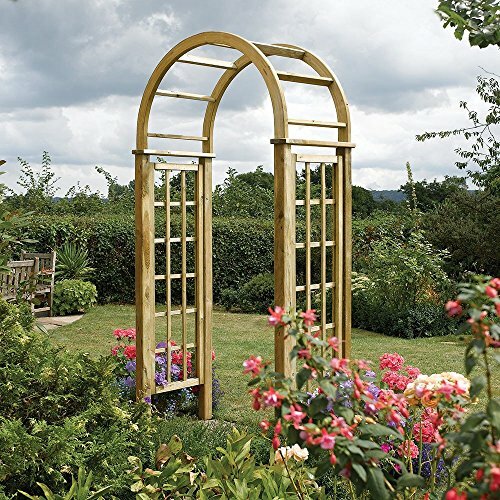 Create a delightful focal point for plants and climbers to flourish with this Rowlinson garden arch. 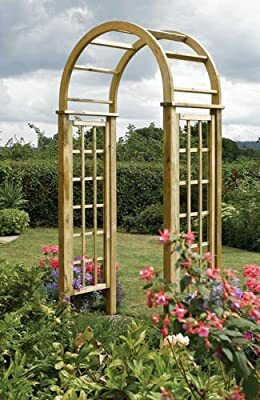 Made from a pressure treated wood, this heavy-duty archway boasts a round top with square trellis sides, sure to look beautiful for years to come. Use this gorgeous trellis arch to break up garden areas, focus on borders or simply dress a garden path. 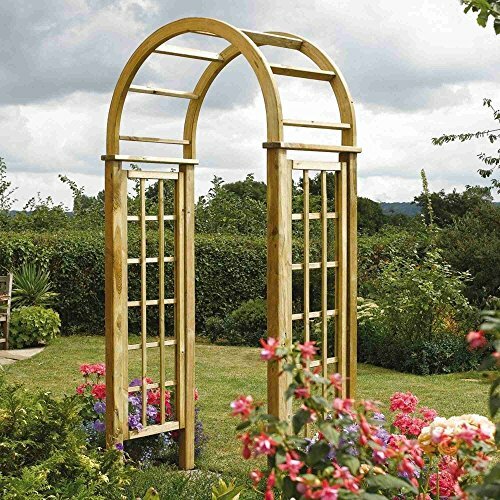 • Heavy-duty garden arch • Pressure treated against rot • Natural timber finish • Internal width: 1070mm • Approx. Dimensions (mm) H 2500 W 1240 D 650 • Weight: 35000G * Please note that this product is delivered direct from our supplier and may take a little longer to arrive. * Unfortunately we can only deliver to UK mainland. At ‘Garden Figments’ we handpick all our arches so you have the best selection of items at affordable prices. We use Amazon.co.uk to fulfil and ship all our arches in our Online Garden Shop. This means that you can shop with confidence knowing that your items will be supplied using Amazon's top quality shipping service, secure payment processing, first rate customer service and online order tracking. Also every order is covered by Amazon’s 30 day money back guarantee.